This integration will allow you to connect with AfterShip and start collecting your data. It is a matter of minutes to send your shipments data to feed your BI, your data warehouse, or your custom analytics stack. 1. To add this integration, go to Blendo dashboard. Click Add a Source and click on AfterShip. 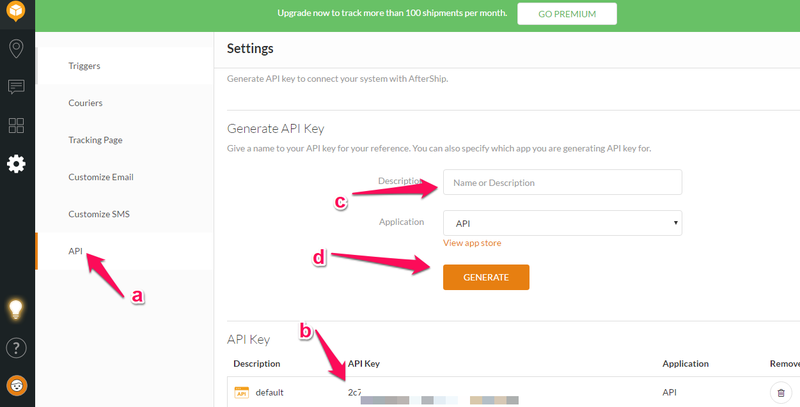 In the next screen, you will need to type your AfterShip API key. We will need the API Key from AfterShip. 2. Login to your AfterShip account from a new tab. 3. 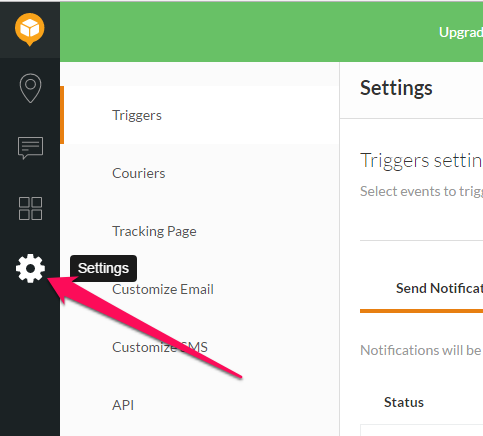 Click on the gear icon (Settings menu) in the left sidebar. 5. Paste the API key into the relevant box provided in Blendo and click Validate & Save. 6. Then you will return back to the home dashboard. Click on your new AfterShip data source. Blendo will now connect to your AfterShip data source. It will sync your historical data and all the future updates into your destination data warehouse. You will get analytics ready tables and syncs that make sure you will get recent and consistent data. When Blendo first connects to AfterShip Data source, will pull all your historical data. Blendo syncs AfterShip data based on the schedule and frequency you choose. The default setting is every 1 hour but is configurable from inside the app. The first time Blendo syncs your AfterShip data performs a full replication. Then your AfterShip data is replicated incrementally. Note that Blendo will only read your data. After you finish the integration with AfterShip, you might see its status as Importing from source, Exporting to the destination, or Completed. What AfterShip data do I have available? Couriers couriers Get a list of our supported couriers. Trackings Checkpoints trackings_checkpoints Get tracking information of the last checkpoint of a tracking. Trackings trackings Create trackings, update trackings, and get tracking results.